Hello my friend! Hola mis amig@s! Welcome to the Latin America Blogs for the University of Surrey! Let me introduce myself. My name is Carla or you can call me Carlita, and I am studying a Masters in Intercultural Communication with International Business. I was born and raised in La Paz, Bolivia. I did my undergraduate studies in the United States and now I am studying my Masters in the University of Surrey. This blog is about the first and main reason why I choose the University of Surrey, because there are many many more reasons. The first and main reason I chose this university is the program. I did not want to do my Masters in the United States, and I did not want to go back to Bolivia yet. I was looking at doing my Masters in places like Argentina or Spain. But I could not find anything that I wanted to do for my Masters in those places. All of the Master programs were so rigid and typical. I wanted more variety and something interdisciplinary. I was looking for a Masters like that because I was not exactly sure what I wanted to do as a profession, so I needed and wanted to study something that had a broad range of topics, and something that would allow me to work in different positions and professions; something that would probably allow me to work in different places in the world; and hopefully with people from other cultures. That is why I chose this Masters program. I have classes such as: International Business Management, Introduction to Research Methods, and Organizational Behavior. The good things about this Masters is that there are optional classes, so I do have some control over what classes I take. Apart from all of that, the University of Surrey offers language classes that are free! So I am also taking French classes, I think this is a perfect opportunity to learn another language. I would recommend it to everyone. 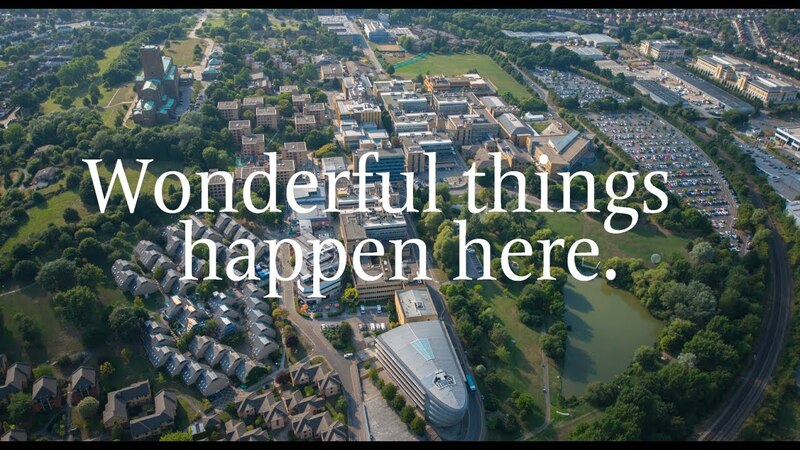 Like I said, there are many other reasons why I chose the University of Surrey, but the list is too long, so I will include them in future blogs. So you will want to keep reading! My blogs will be very informative, I will include links to the websites, and Facebook pages where you can find more information about the university. I will tell you about the application process, the accommodation in the university, about Guildford, the student life on and off campus, and much much more. My goal is to clarify all of your possible doubts and to make you realise that Wonderful things happen here. So you can expect a lot from this place. Just so you know, I will try to include some Spanish in my blogs, however they will be mostly in English. I look forward to writing every week and share my experiences with you!